Pitt junior thrower Andin Fosam nervously watched the conclusion of the hammer throw last week at the NCAA East Preliminary Rounds in Lexington, Kentucky, as she clung to one of the last NCAA Championship spots. Her performance earlier in the day wasn’t her best, as she fouled on two of three throws while her distance on the other — 58.84m — was well short of her personal record of 61.67m. Even so, she felt she had a good chance to advance because of the small amount of throwers still yet to finish. It all came down to the second-to-last thrower, with Fosam sitting in the 12th and final qualifying position. But she fouled on her attempt, clinching the NCAA Championships berth for Fosam. Throughout the week, six other Panthers experienced that same feeling, including sophomore distance runner Gillian Schriever, who finished 10th in the 10,000m with a time of 33:55.42 — about one second from the school record — to advance Thursday along with Fosam. Senior sprinter Desmond Palmer had a more stress-free week, advancing in both the 400m hurdles and 110m hurdles — the only Panther to qualify in two events. He’s by far the most accomplished Pitt athlete heading to Eugene, Oregon, now having qualified in each of his four years. But although he’s been to nationals every year, he still views it as something to be enthusiastic about. Although qualifying for nationals has been a constant in his time at Pitt, this is the first time he’s made it to Eugene in two individual events. He said while that is something to be proud of, he wishes one of his relay teams could’ve made it as well so he could travel with and support some of his close friends. The women’s 4x400m team will have that experience. The team — which consists of first-year Danielle Leaks, senior Desiree Garland and juniors Quadaisha Newkirk and Morgan Harvey — qualified Saturday, finishing third in their heat with a time of 3:35.75. Harvey said even though the team knew they had a chance, they “shocked” themselves by running so well and are looking forward to traveling to Eugene together. Now, the qualifiers are preparing for their biggest race of the year. Each of the athletes is taking a unique approach suited to their respective event, with Palmer and Fosam sticking to their routines while Schriever will have an easier week — a common practice in distance running toward the end of the year. For Palmer, qualifying in two events has helped a lot this week by keeping his training consistent with the rest of the season. Even though this is different than his past trips to nationals, he said the training has been about the same. The athletes have also taken on a myriad of mindsets heading into the week, with some having certain expectations while others are just hoping to do their best. Schriever — who also qualified for the NCAA Championships in cross country — is part of the latter group, saying she doesn’t usually stress out about finishing in a certain place, instead focusing on her own performance. Fosam joined in, claiming this was the most relaxed she’s been all season. Palmer, on the other hand, has plenty of expectations. It’s the last meet of his college career, and he wants to leave Pitt with a strong performance. He said his top goal is to make the finals of the 400m hurdles, adding this race feels more important than others with it being his last chance. When looking back on his career, Palmer said he loved his time at Pitt and wouldn’t do anything differently if he could go back. And while qualifying for nationals may seem like a given now, he said his most memorable moment as a Panther was qualifying in the 400m hurdles as a first-year. 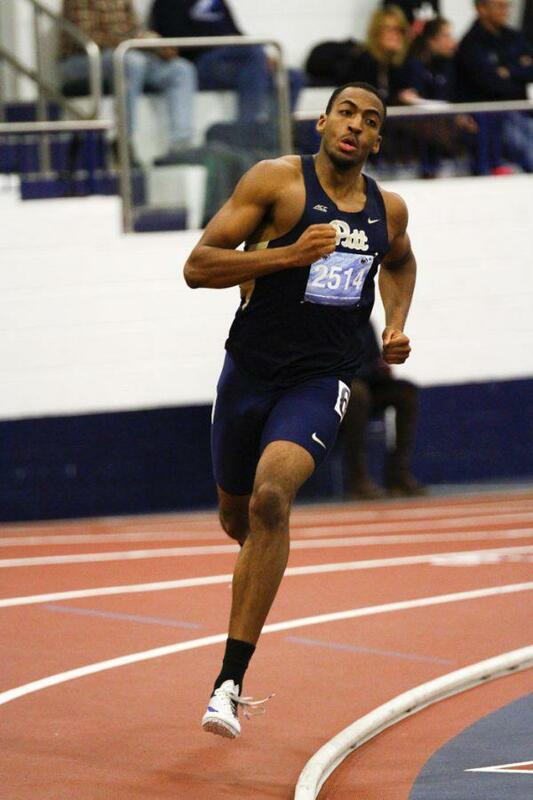 After his time as a Panther ends this weekend, the All-American wants to continue racing and said if he were to run professionally, he would stay at Pitt to train with Coach Alonzo Webb. If he were to stay to train, he would be the second Panther to do so in recent years, joining former All-American and world record holder Brycen Spratling. But before he focuses on his future career, he has one meet left, and wants to make it count. For the others, qualifying for nationals is something they thought was extremely unlikely coming out of high school, and the experience will be a thrilling one. The NCAA Championships start Wednesday and continue through Saturday. Palmer will be the first of the Panthers to compete, running in the semifinals of both his events Wednesday. If he advances to either of the finals, they will take place Friday evening. The women’s 4x400m semifinal will take place Thursday with the finals running Saturday. Schriever and Fosam compete in the finals of their events Thursday, as the 10,000m and hammer throw don’t have semifinals. Harvey agreed the experience will be an exciting one, adding she feels very grateful to have accomplished this feat.